WELCOME TO MY BOOK REVIEW BLOG! 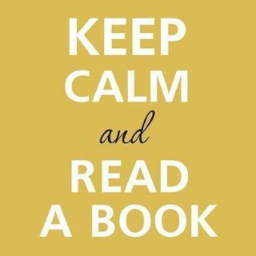 I think it’s only fair to warn you – I only read (not to mention review) CLEAN books! I read and review mostly Speculative fiction, but I also read Historical fiction, Contemporary romance and even some select non-fiction – most of which are also classified as Christian or Inspirational. I enjoy writing reviews about books I love. I do occasionally write a review for a book I do NOT enjoy but I believe in coating criticism with two layers of praise so even when I don’t enjoy it, I look for something great about it (and I always find several things) because every reader is different and each person enjoys different books! I try to focus on the positive in my life and in my reviews! I also DO NOT include spoilers in my reviews. I stick to what is in the back cover blurb and anything the author has posted/released. I hope that I can help you to discover some new books to read! If anyone is interested in reading about my published books, you can find out more about them HERE! I hope you’ll all join me as I travel this new BUSY road!